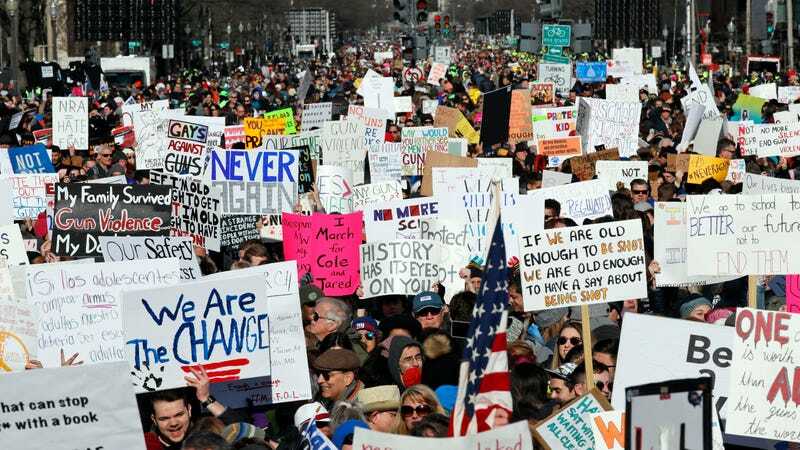 No legislator can ignore widespread demand for gun control reform today, thanks to hundreds of thousands of demonstrators expected to come out for the March for Our Lives in Washington D.C. alone. Whether you’ve made it out to D.C. or any of the other 843 other events in 37 countries around the world, we want to hear from you. Send us your photos, videos, stories, selfies, slogans, evil eye gloves, hero sightings, these guys, your fam, your friends, your means of transportation, whether you’re in the hospital or Iceland or the front porch or detention, wherever! Except Cher. Cher is covered. Keep us posted in the sharezone below!